You may also reserve your tickets online and pick them up at the box office window on the night of the performance. Visit this link to place a ticket reservation. Our promotional poster is shown below. You can print a copy of the poster by clicking on it. We appreciate your support! 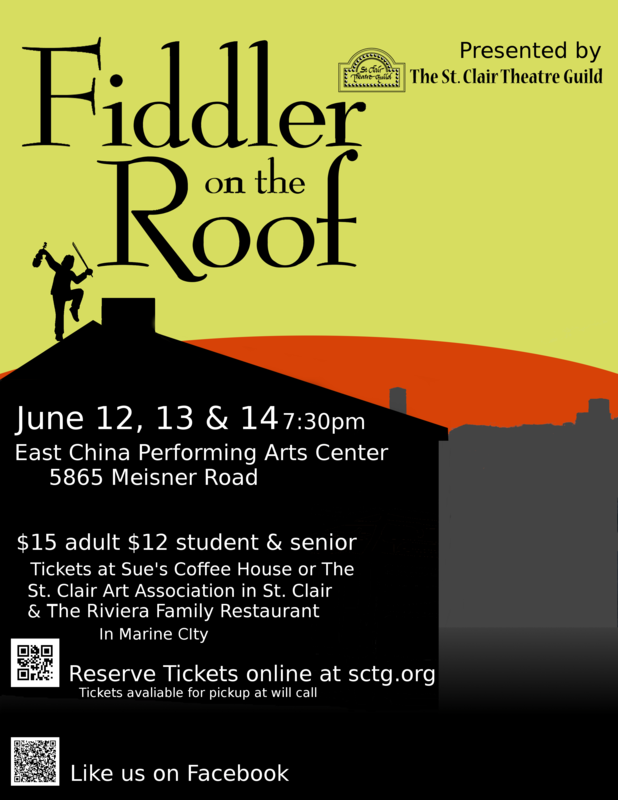 This entry was posted in Events and tagged Fiddler on the Roof, poster, tickets on May 23, 2014 by Tom Kephart.